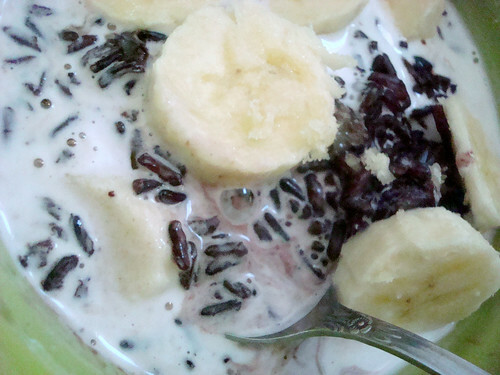 During my time in Bali, it didn't take too long for me to become obsessed with black rice pudding. So you can bet your bottom donut that as soon as I got back stateside, I set forth to recreating this bali magic in my own kitchen. As it turned out, the most difficult part was sourcing the ingredients. I assumed (with a typical American sense of entitlement, I suppose!) that I could get all of the typical Balinese ingredients at my local grocery store or Asian grocer. Ultimately, I was able to find almost everything, but it took a number of stops. 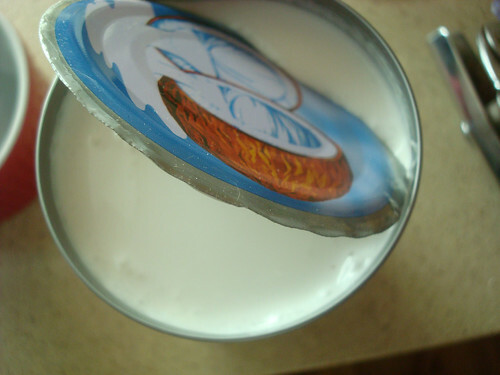 The coconut cream was easy; that was in the grocery store. The black rice, in theory, shouldn't have been difficult to locate, but they happened to be out of it at the Asian grocer, so I had to buy it at Whole Foods for a slightly more premium price. As for the bananas, I sought out firm, ripe ones that I felt could best replicate the dense and super-sweet variety I tasted in Bali. The two hardest ingredients to find were the palm sugar and panadus. After searching a number of stores for dark palm sugar I still came up dry, so finally I settled on this more honey-toned version, which did work just fine. But keep in mind that if you shave it, don't shave too much, as the sugar will harden in a couple of hours. If you couldn't find palm sugar or just can't be bothered to go and seek it out, brown sugar would do. The panadus leaves, often used as a flavoring, were tougher to source. After scouring the web for possible substitutes I couldn't find any that quite sounded right, so I just used vanilla extract for flavoring. Maybe not traditional, but highly delicious. Whew! That having been said, this recipe is worth seeking out the ingredients. This lovely morning porridge is almost caramelly when the sugar meets the rich coconut cream; the bananas bring all of the flavors together into an earthy, creamy, caramelly form of edible bliss. Here's how you make this traditional Balinese treat. 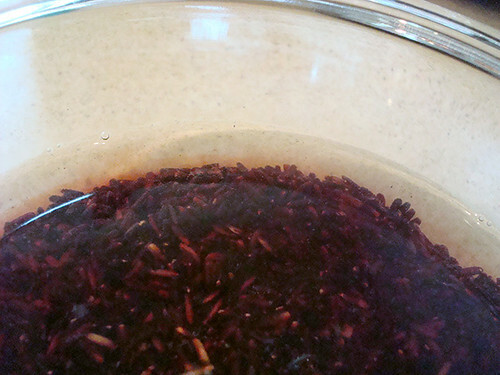 Rinse the rice in two to three changes of water, or until the water runs clear. 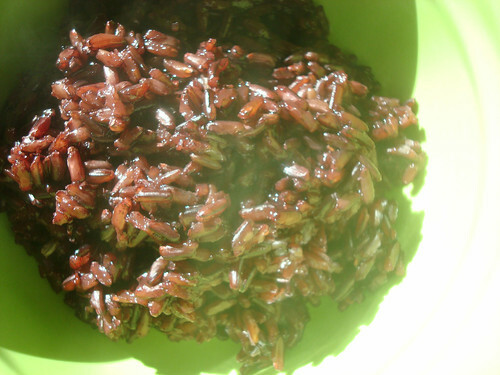 Once clear, place the rice in a bowl and cover with clean water. Let it soak overnight (I did this on the countertop). 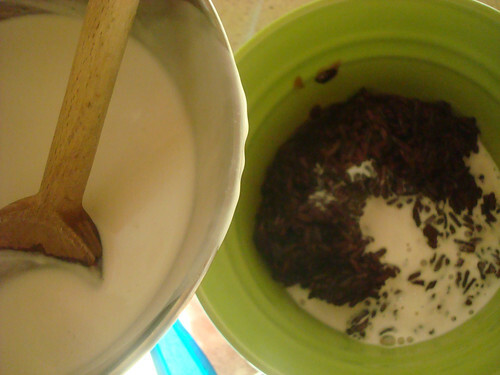 In a saucepan, bring the rice, along with 6 cups of water and the panadus leaves (if using vanilla extract don't add it yet, though), to a boil over medium heat, and simmer uncovered for about 40 minutes, stirring occasionally until the rice is softened to a slightly al dente consistency. Discard the panadus leaves, if using. 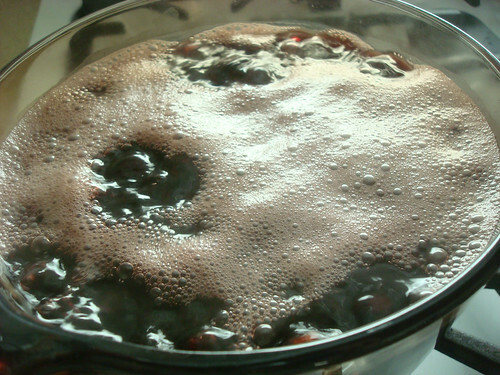 Add the sugar and vanilla (if using) and let the mixture continue to simmer on low heat for about 5 more minutes. Remove from heat. Set to the side for the moment. 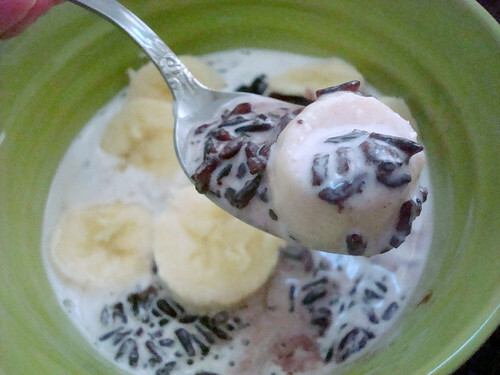 In a bowl, combine the coconut cream with a pinch of salt and mix well. To serve, place a healthy spoonful of the rice mixture into a bowl. Spoon coconut cream on top to taste. Enjoy immediately. 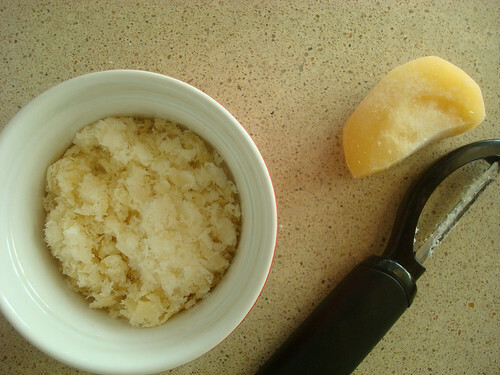 If storing, keep the coconut cream and the rice separate, and combine before serving. 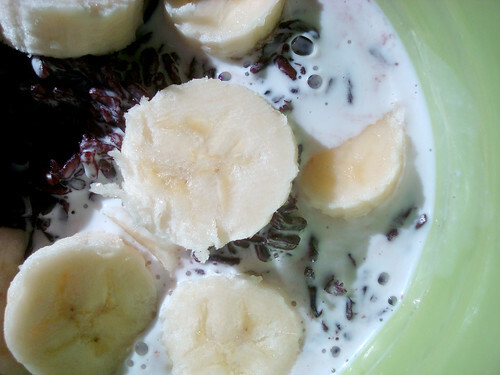 Have you ever tried black rice?